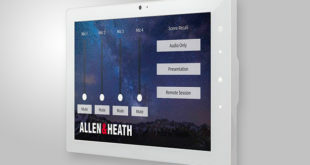 Allen & Heath has revealed the details of its new 96kHz SQ series of digital mixers for live sound, AV and installation. The SQ-5 and SQ-6 mixers are founded on the company’s XCVI 96kHz FPGA engine, delivering high resolution audio with a latency of <0.7ms. 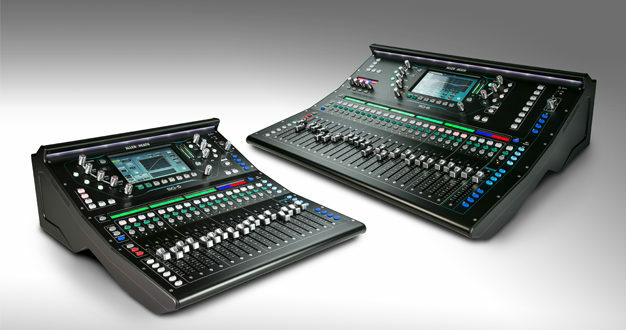 SQ-5 has 16 onboard preamps and 17 faders and is 19-inch rack mountable, while the SQ-6 provides 24 preamps and 25 faders. 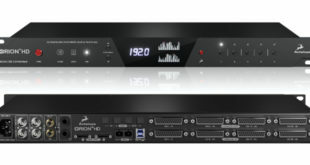 Both consoles can be expanded up to 48 inputs via a family of remote expanders and feature an audio networking slot for optional Dante, Waves and other card formats, expanding the scope for system integration, FoH/monitor splits and multitrack recording. A built-in SQ-Drive makes it easy to capture high resolution 96kHz stereo and multitrack recordings direct to a USB drive. SQ can also be hooked up to a PC or Mac via USB to become a plug ‘n play, Core Audio or ASIO compliant 32×32 audio interface, with MIDI and DAW Control capabilities. Allen & Heath’s DEEP processing plug-in architecture allows boutique compressor and preamp emulations to be added to the SQ mixer and embedded directly within its inputs and mix channels without adding system latency or setup hassles. 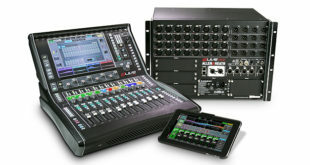 SQ also features a fully integrated Automatic Mic Mixer (AMM), handling conferences, panel talks and TV shows. The SQ user interface combines a capacitive touchscreen with an accompanying set of illuminating rotary controls. Channel and mix layouts can be configured to fit the audio professional’s own workflow, with colour displays and custom naming on all strips. SQ-5 features eight softkeys, allowing further customisation, while SQ-6 has four assignable rotary controls and displays in addition to its 16 softkeys. The SLink intelligent port allows connection of Allen & Heath’s 96kHz and 48kHz expanders and can link to another SQ, or even to a dLive system. SQ Series pricing starts at $2,999 MSRP, available November 2017.